One important consideration for a lot of Digital Signage projects is the brightness level of the screen you choose. 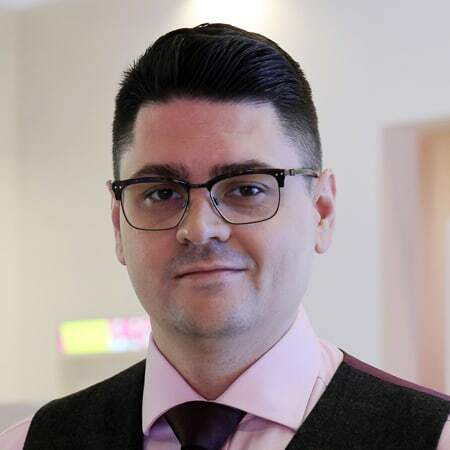 This is one of the most important factors when the screen is going to be subjected to direct sunlight, for example when being used in a window display or in an outdoor environment. Brighter screens are more expensive and may not always be necessary, depending on the application. Screen brightness, or luminance, is measured in candela per square metre; or “nits”. A normal TV or computer monitor has a brightness level of around 200cd/m². This means that for every square meter of screen size the brightness level will be the same as 200 candles. It comparison with this our standard indoor screens have a brightness level of 450cd/m², so they are more than twice the brightness of most standard domestic screens. This makes them perfect for most commercial indoor environments, including window display applications where the screen is not competing with direct sunlight. For outward facing window Digital Signage displays that do have to compete with sunlight a much brighter LCD panel must be used. We offer two ranges of high brightness solutions designed for window displays; High Brightness Monitors, which have a brightness of 1,500cd/m², and Ultra High Brightness Monitors, which have a brightness of 2,500cd/m². 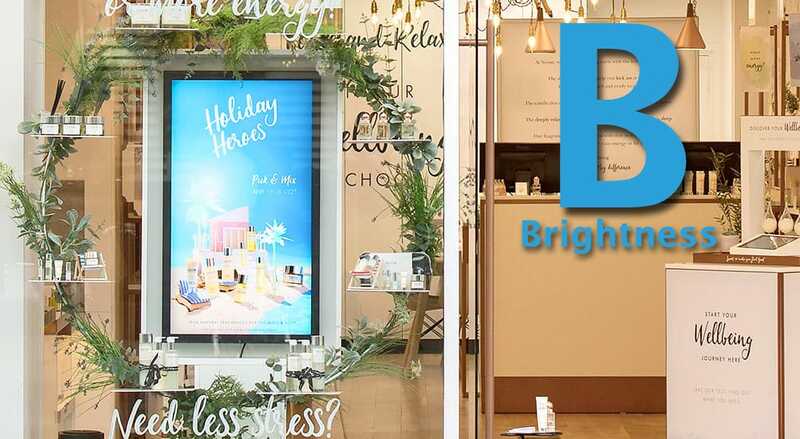 For most street facing window display applications the High Brightness Monitors are ideal, as they are around 8 times brighter than a standard domestic screen. For windows that have a significant amount of direct sunlight, such as south facing shop fronts, the Ultra High Brightness Monitors would be the solution to go for as they are also extra resistant to LCD blackening caused by panel overheating. For outdoor Digital Signage applications a panel with a brightness of 2,500cd/m² should be used. That being said outdoor screens should also have an ambient light sensor; this way the screen can lower it’s brightness as it gets darker at night time to an optimum luminance for readability. When it comes to the brightness of Digital Signage displays it should be clear that brighter is not always better. In some cases using a brighter screen may reduce readability and cost more than is necessary, in other cases it would be essential. For more guidance on what brightness your screen should be get in touch with us today on +44 (0)121 421 4458 or email info@allsee-tech.com.